I totally dislike khichdi. 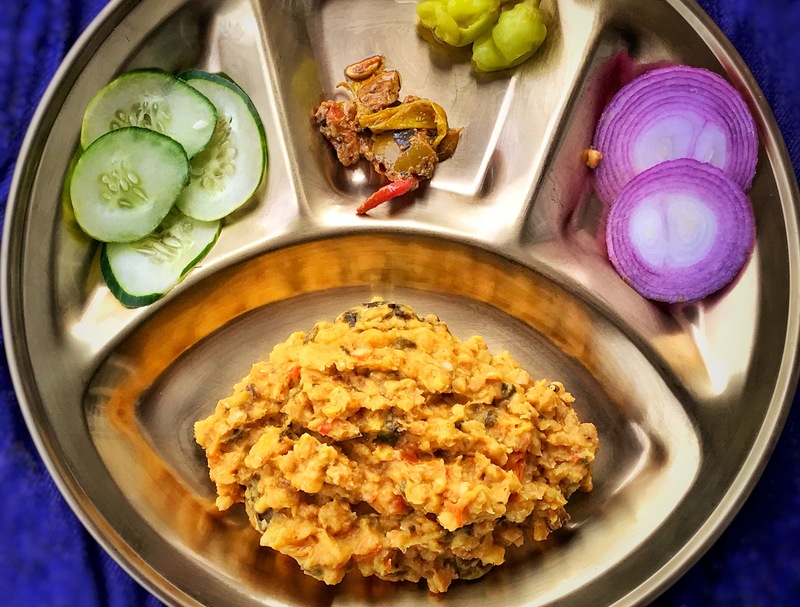 (And snakes, but again, that’s not an appropriate food blog conversation) Thanks to me, my 6 year old thinks Khichdi is the most disturbing food ever invented. Or at least he used to, until I tricked him into trying this “Farro Lentil Soup”. (Yup, sneaky old manipulating me) He has since requested the “soup” in question at least 3 times, so I finally revealed it’s true identity to him and his response? “mom, khichdi isn’t as bad as you think, you should try it”! Heat the oil & ghee in the Instant Pot on sauté mode. Fry the seeds & the whole garam masala and then the asafoetida. Fry the onions, tomatoes and ginger-garlic paste. Add the spices, spinach, squash and the drained dal+Farro. Sounds good and we have some kichdi lovers in the family and I love my IP! Where can I buy farro?